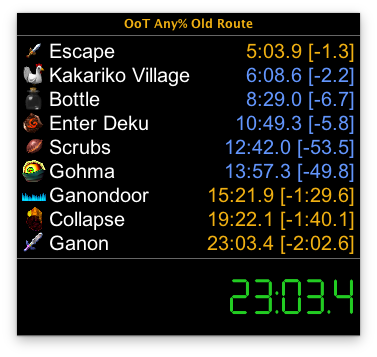 I did the collapse the old way and also had to use a very slow Gohma strat. If I one-cycle her in a good run I'll shave off roughly a minute, and I could probably save an additional minute with other optimizations as well. Just started running like a week ago, hence the bad time.